As the first day of April and the beginning of a new month, you can collect your monthly freebies. In addition to your monthly freebies, remember to collect a free spring item at the Festival of Neggs daily until April 12th. 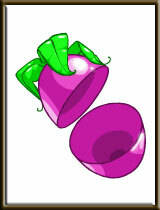 You can also help Kari, the Negg Faerie by completing a few quests. And for all the NC item collectors, hunt for your goodies at the Neggstravaganza Surprise. And if you haven't already heard, the jnPortal has returned. 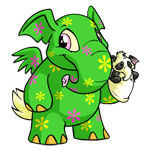 Get all your neopets needs in one place! You can customize it will all your favorite modules, and use a special theme. In a few days the JN Staffers have a special treat in store. We will be starting an exciting jnEvent that will reward it's winners with a shiny new jnAccount trophy. So check back this weekend for more details, you don't want to miss it! Can you guess what it will be? The April NC Mall Gamers Deluxe collectible is here! Featuring the Goparokko Yurble. Mwhahahah, I has your jelly! Morphing Experiments: The 3rd mini-mme has been released. You can check it out on our Morphing Experiment Guide. New Games Announcement: The month of April newsletter will be arriving soon, and it looks like a few new games will be coming. One of them might be the return of Nova Battles! Kari has a new quest for you at the Quest Booth. You can find full details on our Festival of Neggs Guide. MiniMME2: The Over-excited Fiery Negg has finished evolving! Previews for all stages are now up on our Mysterious Morphing Experiments guide. 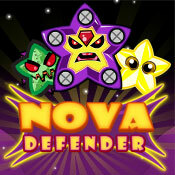 Win this caption and earn a new avatar! The final Kari quest is now available at the Quest Booth. Brace yourselves, you might get flashbacks to the Lost Desert Plot! In the end, your goal is to reach the mysterious desert oasis. All steps are now on our guide! JN Negg Hunt: If you like puzzles and have some extra time this weekend, why not try out our fantabulous negg hunt? The introduction and subsequent posts contain all the information you need to get started. Come and join the fun! 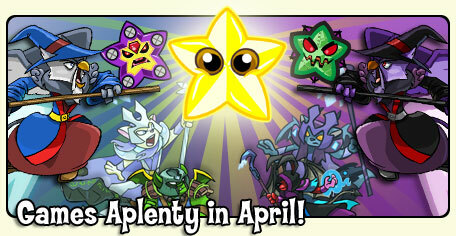 April Games: For the month of April, you will be able to send 8 scores per game per day on Neopets! New wizard game, as seen in the April newsletter preview. Sorcerers Skirmish New Game Challenge will be starting soon. Prize details are listed on our New Game Challenge Guide. We just came across an interesting article in the New York Times that discusses Kung Fu Panda World. The article was published today, April 11th. Look! I have my own Kung Fu Pandaphant Puppet! 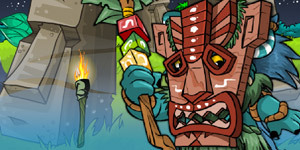 The article connects back to Neopets by reporting some startling facts about the site's visitors. 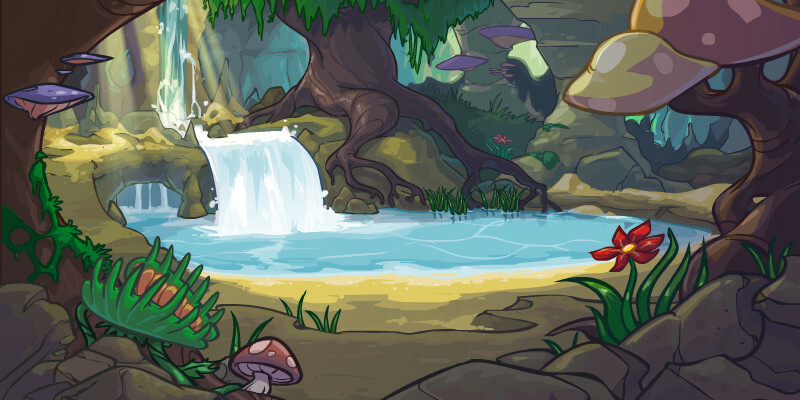 According to the article, Neopets logged 2.1 million unique visitors in March 2010, which is a 25% loss compared to March 2009. In other words, in the past year, Neopets has lost about 25% of its fanbase. Similarly, Webkinz suffered a 58% drop with 2.7 million unique visitors logged (still more visitors than Neopets, however), and Club Penguin suffered a 7% loss with 6.7 million unique visitors logged in March 2010. Strangely, Webkinz and Club Penguin both have more pay-to-play features than Neopets does.